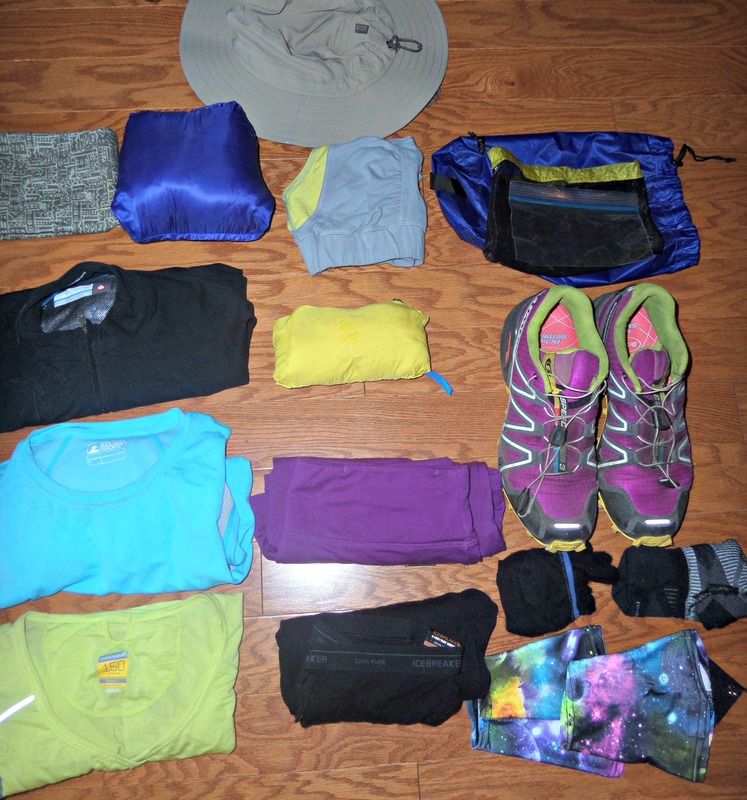 In addition to physically preparing for a thru hike of the John Muir Trail, I had to make some changes to the gear I owned. Hiking for 15 days for about 10 hours a day, I needed a solid pack. This pack had to play a few roles. I was going as lightweight as possible so the pack had to weigh under 2 pounds, but still be able to hold a bear canister with up to 8 days of food. It also had to be comfortable as well as durable. I picked out the Gossamer Gear Mariposa for the job. 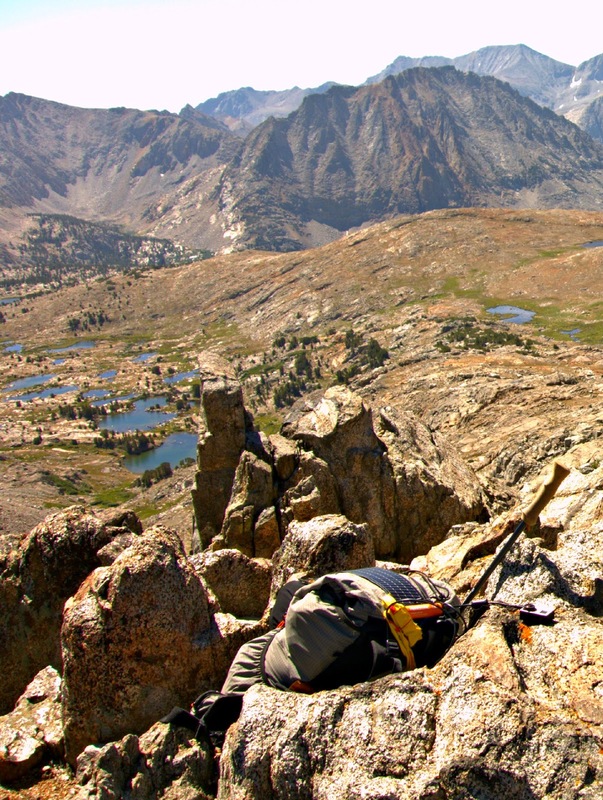 Gossamer Gear’s motto, “Take Less, Do More” matched up with my idea of a thru hike. You can either be one who hikes to camp or camps to hike. I’m really in it for the hiking. Camping is the icing on the cake. The Mariposa is 4244cu in. (69.5 liters). It’s the largest volume pack Gossamer Gear currently makes. I was hesitant about buying such a large volume pack as I didn’t want to fill it with unnecessary items, but with a Bear Vault 500 (BV500) and keeping my sleeping bag out of its stuff sack, I’d fill up most of the extra space for this trek. I also used this pack on some of my winter hikes. I’ll get more into that later. A bear canister can fit in vertically and creating extra padding between your back and the canister with a sleeping bag really makes it comfortable to wear all day, everyday. A bonus with this pack is it has load lifters while most UL packs go without. The Mariposa has a total of 7 pockets: a large one on the left side (tent sleeve), two on the right, a large mesh one on the back, a flat one on the lid, and two on the hipbelt. The pockets on the hipbelt are nice and big. I put snacks in one and my camera (a point and shoot) in the other. The hipbelt is bought separately for a better fit. I wear a size medium pack and a small hipbelt. Please measure your torso length before purchasing a pack! 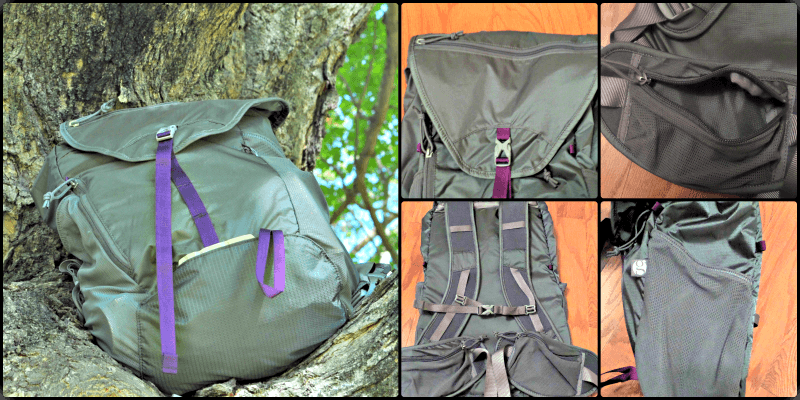 This version of the Mariposa is made with 140 denier Dyneema Gridstop fabric. All pockets are made of this Dyneema fabric for durability. 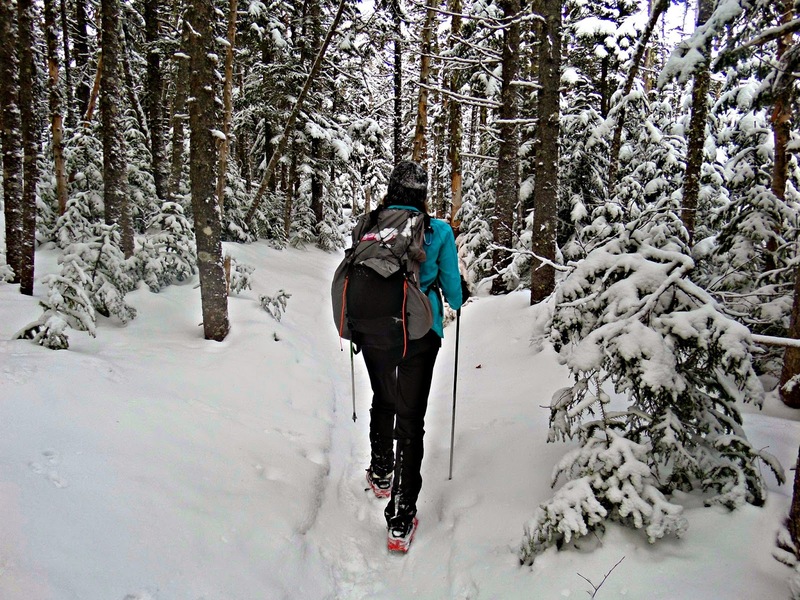 I have used this pack in winter on above treeline hikes in New Hampshire’s White Mountains. It is listed as having a pack limit of 35 lbs. so it can carry your crampons and puffy. It does well in the snow and the top lid system helps to keep gear dry. The only concern is there isn’t a great place to store snowshoes if you’d like to take them off. 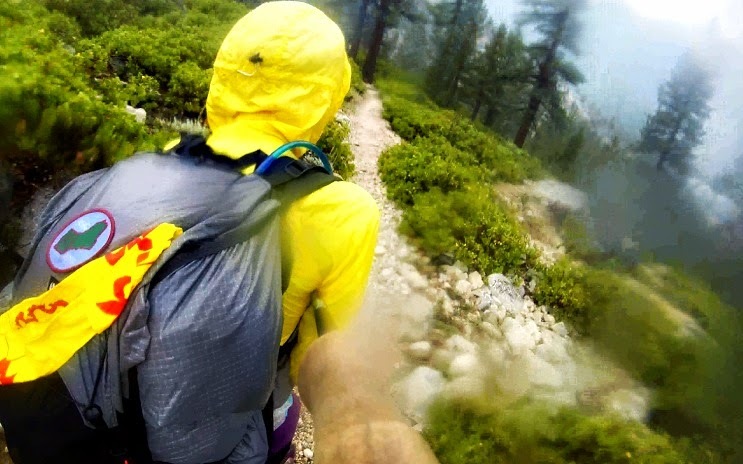 In rainy conditions, this pack performs extremely well. The lid is designed to tuck any extra fabric inside itself which adds a layer of protection from the elements. I used a Polycryo ground sheet as a pack liner and my stuff stayed nice and dry. The outside pockets all have grommets which helps wet items dry out a little better and minimize pooling of water inside the pockets. Shoulder Straps with pre-curved pads. The load lifters are great to bring your pack closer to your back and shifts some weight to your hips. The aluminum stay and sit pad gives the pack more structure. I actually removed both of these items for my JMT hike as my bear canister helped do this job. I replaced the sit pad with an inflatable sleeping pad which was amazingly cushy. Gossamer Gear just introduced a 2014 version of the Mariposa with some significant changes. The biggest is that it is made of 100 and 200 denier Robic nylon fabric which makes this an even tougher pack without adding weight. It also features a revamped unisex harness and padded hipbelt. After a couple of days on the JMT my shoulders were a little sore from the straps so I am happy to hear that the straps were updated with more padding for some more comfort, especially for smaller women. XL (tall): 30.00 oz ( 857g. ) Average Total for all items included. This was weighed with a XL belt and the long sitlight that comes with it. Select use of 1680 denier ballistic nylon for reinforcement. 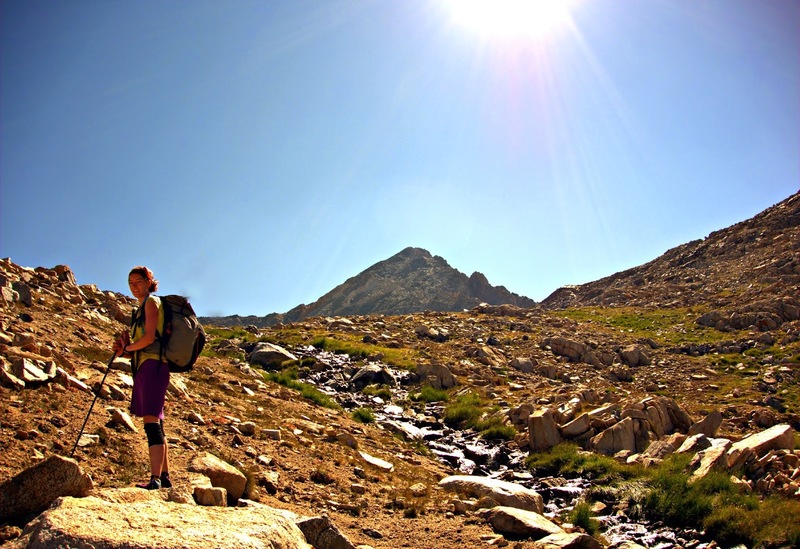 Disclaimer: Allison is a Gossamer Gear Trail Ambassador, but purchased this pack. The above review is her own opinion.